There is no end to the buffoonery of novice investors. One has outdone himself by packing 200 random stocks into his portfolio. Naturally, this has aroused the ire of Atul Suri, the ace trader, and he has given novices a piece of his mind on how they should invest in stocks..
Rakesh Jhunjhunwala has declared that he has never felt more bullish about the stock market in his entire life. 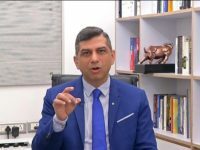 However, he has lamented that he has no more money to invest because he is already fully invested..
Manish Bhandari has discussed the latest stocks that are held in the portfolio Of the Vallum Capital PMS Fund. It appears some of these stocks are potential multibaggers and we have to grab them ASAP for our own portfolios..
Mohnish Pabrai prides himself on being a "shameless cloner". He has now been tempted by the rock bottom valuations of a high-quality NBFC stock which is one of the fav stocks of Rakesh Jhunjhunwala and sensibly made it part of his portfolio..
Outlook Business' stock recommen dations are always eagerly awaited by investors in Dalal Street. For 2019, 16 eminent experts have been roped in to recommend 16 flawless stocks to us..
Novice investors & traders tend to clone the moves of Rakesh Jhunjhunwala and/ or Radhakishan Damani in the expectation that they will enjoy the same success as the living legends do. Vijay Kedia has warned that this is not a good practice because nobody can match the genius-level mindset of the legends..
Ridham Desai of Morgan Stanley has soothingly assured that there is still time for us to dive into the stock market if we haven't already done so. He has opined that valuations aren’t expensive and there’s room for more gains..
Basant Maheshwari has made the shocking revelation that he has got "fed up" of the HFC stocks which were earlier described as "blind buys". He has revealed the new stocks that he is now bullish about..
Sunil Singhania's Abakkus Fund has homed in on a small-cap stock which is targeting a market with a mammoth size of Rs. 47,000 Crore. The stock may be the "next Page Industries" and deliver multibagger gains if all goes as per plan.. The experts at HSBC have confidently asserted that the Sensex is poised to cross the level of 40,300 by the end of the year. They have recommended 16 high-quality stocks which will help us reach the mount and effortlessly rake in multibagger gains..
Basant Maheshwari’s PMS Fund has put up a stellar show in February 2019 and emerged as the top performer. We have to understand how Basant turned the tables around and achieved this enviable feat..
Mohnish Pabrai has made it clear that he is holding on to his 10-bagger stock only because it is managed by a "dream manager" who has never made a "dumb decision". The question is whether his departure will now change Mohnish's mind and induce him to dump the stock..
Ramesh Damani has opined that a new bull market cycle will start in which small and midcap stocks will take new leadership. He has revealed that he has launched a hunt for 'hidden gem' multibagger stocks and invited us to join the quest.. The all-time fav multibagger stock of Mohnish Pabrai & Dolly Khanna appears beset with insurmountable problems. The latest salvo has been fired by the Supreme Court by dismissing its plea as being “totally misconceived”. What does fate hold for the stock?.. Mohnish Pabrai's latest stock pick stands to benefit from the boom in the realty and retail sectors. The stock is fail-safe and is exhibiting all signs of being the next multibagger. We need to keep red alert and pounce on it at the appropriate moment..
Jim Cramer, an authority on Wall Street, has proclaimed that the dreaded Bear market has ended and that the Bull market is about to resume. We have to tuck into high-quality stocks ASAP to benefit from the impending bonanza..
Vijay Kedia has recommended a stock which is growing at a scorching pace and is an unstoppable juggernaut. “I can’t take my eyes off” of the stock, he has gushed in admiration and given 10 convincing reasons for his fascination with the multibagger..
HDFC Securities has conducted a detailed study of leading NBFC and Housing Finance Co stocks and identified the best stocks which are worthy of buy now..
RaGa’s aggressive waiver of farm loans has stunned NAMO. NAMO is likely to retaliate with an aggressive waiver of GST on the realty sector which will send realty stocks surging like rockets..
Basant Maheshwari has revealed the names of the stocks that he is bullish on and explained the strategies that he will adopt in 2019 to rake in multibagger gains for himself and his PMS clients..
Rakesh Jhunjhunwala recommended a high-quality stock in the belief that it would deliver multibagger gains. Unfortunately, it turned out to be a “disaster”. He has now paid a fee to SEBI to settle an allegation of insider trading.. Leading experts have certified that stocks recommended by Porinju Veliyath are now quoting at “steep discount” and are “bargain buys”. We need to grab these stocks ASAP before the hoi polloi wakes up from its slumber..
Raghav Bahl, the distinguished editor of BloombergQuint, has raked in massive tax-free multibagger gains of Rs. 115 crores in just 24 months from an unknown penny stock. However, the tax sleuths have claimed that his modus operandi is bogus and that he has to pay tax on the gains..
As per tradition, Porinju Veliyath has given us a Diwali Gift by recommending multibagger stocks for 2019. He has assured that these stocks are safe and will shower hefty gains upon us.. Billionaire Jon Yarbrough, an accomplished investor, has revealed top secrets of how he rakes in multibagger gains. His technique is very simple and we can also adopt it for our own portfolios and rake in big bucks of our own..
Dolly Khanna has taken advantage of the meltdown in stocks to hike her stake in high-quality multibagger stocks. We have to follow her illustrious footsteps and also grab stocks..
Porinju Veliyath has not taken kindly to the action by NAMO and Arun Jaitley of causing a loss of Rs. 1.35 lakh crore to investors in OMC stocks. He has described the move as “penny wise pound foolish” and as "unethical"..
Porinju Veliyath has already pocketed massive 10-Bagger (1000%) gain from a high-quality infra stock. However, the stock has much more upside left is the confident opinion of leading experts..
Madhu Kela and other eminent experts have advised us to rush to Dalal Street to advantage of the panic crash. They have assured that the fears about tight liquidity which led to the crash are temporary factors and that the stocks will soon surge back to glory..
Ramesh Damani has revealed that mega-Billionaire Carlos Slim showed him how to rake in a fortune from stocks. He has also explained the technique he adopts to double his portfolio value every three years..
Saurabh Mukherjea has opined that the next generation of mega multibaggers like Page Industries etc will emerge from small towns. He has homed in on a few small-cap stocks which are exhibiting the characteristics of mega multibaggers and advised us to tuck into them ASAP..
Sunil Singhania’s latest stock recomm endation has lived up to expectation. The stock is not only a fail-safe blue-chip but has delivered 15x multibagger gains in the past. More gains are due from it and its peers..
Mohnish Pabrai has counseled us to invest in stocks which are ‘no brainers’ if we aspire to have multibagger gains in our portfolios. His latest stock pick boasts of a ‘unique business model’ and ‘superior return ratios’ and looks like a no-brainer.. Billionaire Satpal Khattar and Mudar Patherya are jointly bullish about a stock said to be “at cusp of unprecedented opportunities”. Now, SMIFS has opined that the stock is at ‘inflection point’ and recommended a ‘strong buy’ for hefty gains of 55%..
Outlook Business has persuaded leading experts to recommend five high-quality mid-cap stocks which are quoting at reasonable valuations. These stocks are powerhouses and we have to take advantage of the situation to tuck into them ASAP..
Porinju Veliyath’s PMS crumpled from giving an impressive return of 45% CAGR over 5 years to being the worst performer in the last 5 months. He has explained the reasons for the debacle and how he seeks to remedy the situation..
Basant Maheshwari’s PMS Fund has clocked in an impressive performance despite the gloomy state of the stock market. He has also revealed top secrets of his investment strategy. It is certain that if we follow the same strategy, we can also rake in hefty gains for our own portfolios.. Billionaire Prem Watsa is the latest luminary to sing rich praises about NAMO. He has opined that NAMO should be PM for at least another 5 or 10 years and has warned of dire consequences for the Country should this not happen..
A stock which is headed by a so-called “intelligent fanatic” attracted the crème-de-la-crème of investors. They ignored the warnings that were writ large and are now wailing inconsolably at the colossal losses..
Porinju Veliyath has ruefully conceded that his strategy of betting big on “improving corporate governance in a structurally changing Indian economy” has backfired. However, he has assured that this is a temporary phase and it is too early to write it off..
Rakesh Jhunjhunwala has heaped rich praise on NAMO for being the “most towering leader”. At the same time, he has slammed RaGa for lacking credibility. He has assured that NAMO will come back into power in 2019 and that junkyard politicians will be kept at bay..
Mohnish Pabrai has announced that his latest stock pick is from a sector which is a no-brainer. He has also opined that the stock has an impenetrable moat. This means that we can expect Mohnish to rake in more multibagger gains in the near future..
Raamdeo Agrawal & Shankar Sharma have teamed up to bail out investors from crisis. They have recommended stocks which have the potential to shower multibagger gains of upto 10x upon us..
Sumeet Nagar of Malabar Investments Fund has provided us with a textbook example of how one should encash multibagger gains when the going is good. Waiting too long can causes the gains to evaporate into thin air..
Sanjoy Bhattacharyya, the doyen amongst value investors, and other eminent investors, had called a small-cap stock a “genuine long term investment opportunity” implying that mega gains can be reaped from it. However, the stock has sunk like a stone amidst fears that the financials may be cooked up..
Mohnish Pabrai has issued the clarion call that the low rate of mortgage penetration in India coupled with high demand for housing makes HFC stocks a no-brainer investment. Mohnish’s theory is in line with the theory advocated by other experts and we have to act on it ASAP..
Porinju Veliyath has issued the red alert that there will soon be a selling tsunami in small-cap stocks as mutual funds scramble to comply with the SEBI reclassification directives. This will create a God-sent opportunity for us to buy quality stocks at rock-bottom prices, he says..
A Mini-Ratna PSU, whose IPO had been condemned by experts as not being investment worthy, has surged like a rocket and given 100% gain in just 2 weeks. We need to barge into the stock to grab the residual gains, if any..
Porinju Veliyath has recommended stocks of blue-chip companies run by promoters with proven track record of wealth creation. He has confidently assured that these stocks will create "beautiful wealth" for shareholders in coming years.. Leading research houses have recommended the best top 5 stocks to buy now. The stocks are of high-quality and have upside potential ranging from 122% to 50%..
Ashwani Gujral has sent the chilling warning that all stock markets are headed for a meltdown due to the dreaded Trade War between USA and China. However, this does not mean that a Bear market is setting in says Shankar Sharma, implying that we have to buy the dips..
Porinju Veliyath has confidently assured that select infra stocks will give 5x/ 10x multibagger gains. His latest stock pick has the necessary credentials to give such gains according to experts..
Mohnish Pabrai’s latest stock pick has slumped while its peers are surging. This has perplexed punters though experts have opined that this is an opportunity for us to gain an upper hand over Mohnish by buying the stock at a cheaper price..
Rahul Saraogi of Atyant Capital has issued the clarion call that PSU Bank stocks have touched a “multi-decade bottom” and that the time is ripe to tuck into them. We need to act on the advice and grab the PSU Banks ASAP..
Rakesh Jhunjhunwala has spoken his heart out on controversial political issues relating to Indira Gandhi and NAMO. He has also discussed the current state of the market and offered important tips to us on how to find multibagger stocks..
Mohnish Pabrai’s latest stock pick has baffled experts. Some have opined that the stock is overvalued and is not a screaming buy. However, others have opined that it is a “hidden gem”.. The wizards at Motilal Oswal have homed in on 10 high-quality fail-safe mid-cap stocks which are an ideal buy now from the perspective of growth and valuations..
Porinju Veliyath has recommended six high-quality multibagger stocks to buy after Budget 2018..
Shankar Sharma & Samir Arora have sent the chilling warning that tax on long-term capital gains will signal ‘Game Over’ for the stock market. However, in a baffling move, Porinju has taken the contrary stance and welcomed the tax proposal..
SP Tulsian’s latest recomm endation is a high-quality MNC which is debt-free, fail-safe and a blue-chip multibagger stock. He has described the stock as a “new year gift” to us..
Karvy has commissioned its best minds to cherry-pick the best 10 mid-cap stocks and prepare a model portfolio for us. As expected, the experts have done a splendid job in their stock selection..
A consortium of ace investors has bought a massive chunk of a high-quality micro-cap stock sending the clear signal that the stock will soon churn out mega multibagger gains..
Big-ticket FIIs and mutual funds have muscled their way into a small-cap stock owned by Dolly Khanna and Porinju Veliyath. This will catapult the stock into the big league. We cannot stay on the sidelines any longer but have to join the party ASAP..
Jwalit Vyas of ETIG has identified five mid-cap multibagger stocks for 2018. Not surprisingly, two of Dolly Khanna’s high conviction stocks are in the list..
Penny stocks have long been abused by unscrupulous taxpayers to launder their unaccounted money by showing them to be tax-free long-term capital gains. The Bombay High Court has thankfully put an end to the menace and brought the tax evaders to book..
16 eminent stock wizards have discharged their bounden duty of making multibagger stock recommendations to us. It is certain that if we diligently follow the recommendations, we will also soon be on the road to riches..
Ambit Capital has dug deep and flushed out eight stocks which are described as ‘India’s Emerging Global Champions’. These stocks have the potential to become global leaders in their products or niches and shower multibagger gains upon investors..
Porinju Veliyath and Shyam Sekhar, both noted value investors, have taken contrasting stands with regard to the prospects for PSU Banks. While one has trashed them, the other sees value in them..
Mudar Patherya has used the auspicious occasion of Christmas to recommend five fail-safe and potential multibagger stocks. We have to take advantage of the bonanza and rake in the riches..
Mohnish Pabrai is so inspired by the gush of multibagger gains in his portfolio from Indian stocks that he has turned lyrical and is indulging in sher-o-shaayari. 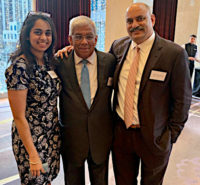 He has also sent us subtle investing lessons through the medium of a couplet..
Kenneth Andrade’s latest stock pick is a high-quality small-cap which has received clearance from Billionaire Radhakishan Damani and other eminent luminaries. We can also dive into the stock without any hesitation and expect to effortlessly pocket big bucks..
Porinju Veliyath condemned a high quality stock as being “over-priced”. However, the stock has shown remarkable resilience and has churned out hefty returns. The remarkable aspect is that the stock is now said by Motilal Oswal to be cheap and to deserve higher valuations..
Mohnish Pabrai has sent a timely warning against blind cloning even as he and Dolly Khanna are basking in massive riches from their stock pick. Motilal Oswal has now recommended a buy of the stock with the assurance that in the ‘Bull case’, the stock has a magnificent upside potential of 100%.. The confidence of four ace investors in a small-cap sent the clear signal that the stock will be a no-brainer multibagger. This has now come true and the quartet is basking in massive riches..
Radhakishan Damani, who faced the ignominy of being ousted from the Forbes Billionaires Club in 2015, has now been ceremoniously ushered back. He has been awarded rank no. 12 in the elite list while Rakesh Jhunjhunwala, his illustrious protégée, has been awarded rank no. 54..
Shyam Sekhar’s technique of homing in on contrarian stock picks has yielded rich dividends as was seen in today’s massive surge of PSU Bank stocks. His other stock picks may also yield mega gains. We have to understand the logic and be prepared to tuck into them at short notice..
Vijay Kedia & Shyam Sekhar have aggressively bought a high quality agriculture stock with multibagger potential and also sent the clear message to us that the time is ripe to load up on such stocks. We need to immediately act on their advice..
Sharekhan’s recommendations for Diwali 2016 have yielded a magnificent gain of 42%. They have assured that the recommendations for 2017 will yield similar mega returns..
Dolly Khanna & Anil Kumar Goel have added one more high-quality specialty chemical stock to their respective portfolios. The stock is said to have “high entry barriers”, “strategic location”, “reasonable valuations” and other virtues which make it a potential multibagger.. Billionaire Ajay Piramal, the ‘Warren Buffett of India’, has put his seal of approval on the theory formulated by Basant Maheshwari, Vijay Kedia and Raamdeo Agrawal that there is huge scope for growth in the housing finance sector. We have to act on this theory and immediately add HFC stocks to our portfolios..
Madhuchanda Dey of money control has homed in on 24 micro-cap stocks which have the potential to deliver multibagger gains. We have to keep these stocks in our radar and tuck into them at the appropriate time.. Leading stock markets, including Shyam Sekhar and DD Sharma, are bullish about a small-cap stock. We have to pay close attention to the stock because the reasons given in support of it giving multibagger returns are quite convincing..
Mudar Patherya has homed in on five micro-cap stocks which he describes as “rainbow among dark clouds”. It is explicit that these stocks are powerhouses with multibagger potential..
Shankar Sharma has mastered the technique of homing in on stocks that look like junkyards but which may turn out to be blockbuster multibaggers like Apple, Amazon, IndusInd Bank etc. We have to keep a close eye on his latest stock pick.. While novice investors turn a deaf ear to Rakesh Jhunjhunwala’s gospels, Porinju Veliyath pays close attention to them. He has taken a cue from the Badshah and recommended buy of stocks with global competitive advantages..
Pharma stocks are presently in the doldrums owing to various factors. However, this is the opportune time to buy a high-quality small-cap Pharma stock which has the credentials to shower multibagger gains, say experts..
A group of elite ace investors has been covertly pocketing big stakes in a top-quality micro-cap stock with the potential to shower multibagger gains. We need to immediately rush in and grab our own quota of the stock before the hoi polloi wakes up and lays siege on the counter..
Kenneth Andrade’s Old Bridge Capital PMS and Sunil Singhania’s Reliance Mutual Fund have both homed in on the same blue-chip MNC stock. We need to immediately apprise ourselves of the merits of the stock and decide whether to join the two luminaries..